Starting a brand new web site from scratch is one thing - but when the existing website has Google ranking, hundreds of static pages which all have unique incoming links and a classic original html structure, it takes all the amazing features of SpaceNode to bring a website up to date. 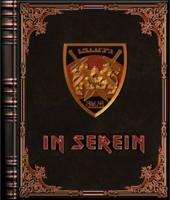 http://InSerein.com is a website that was built in pure html in 2002 around the three books of In Serein, a fantasy fiction trilogy the author wanted to make available to be read on the web. Each one of the three books has parts, and each part has chapters. This forms the core of the website, and all the chapters are individually numbered. On the old website, each page therefore had a unique address and the challenge was to replicate the main pages of this website exactly so that incoming hyperlinks would still work, even though the site is now a SpaceNode. Using the variables of the SpaceNode article database to manipulate not just page names, but also order and sequence as to how the tables of content would display in the end, we managed to completely re-create the existing structure. There was also very bespoke design created to keep the original idea of reading a book online in place. Another part of the challenge were the existence of a number of subwebs which had accumulated in the website. These were moved to more relevant places and had permanent redirects put into place as not to lose the existing historical links. With the addition of a news module and audio features, such as author's readings and music players, the site is better than ever. Also previously external 3rd party functions, such as the guest book, counter and contact forms are now all integral and matching. Now visitors have no longer to leave the website and can enjoy the experience of the book in a whole new way. A massive project but one we are very proud of. The Energy Symbols - Show Us Yours!